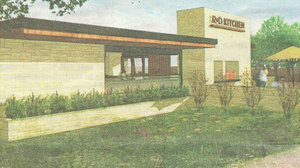 R+D Kitchen rendering. Courtesy of Napavalleyaddress.com. Shone Farm in Forestville. Courtesy of Shone Farm. Ever been to Washington Square in Yountville? If you’re scratching your head wondering where it is, it turns out you’re not alone. The 1980s-era shopping area that once housed the Napa Valley Grille (at the north end of town) is being overhauled after years of being somewhat underutilized and generally ignored. According to the Napa Valley Register, ~R+D KITCHEN~ will be the anchor for the updated center, owned by the Hillstone Restaurant Group. The Los Angeles investors also operate Rutherford Grill, Houston’s, and Los Altos Grill. The group, according to the report, will spend $5 million or more on new construction and revamping the center. The spacious Glen Ellen restaurant that was once a gristmill has seen its share of owners come and go. After a false start last summer under new owner Narayan Somname of nearby Yeti, the new ~GRIST MILL RESTAURANT AND WINE BAR~ has hired former Starlight Wine Bar chef Thaddeus Palmese and a former Cyrus vet, Will Inadomi, to head up the kitchen. Palmese is well known around Sonoma County for his take on Creole cuisine and says he’s got a smoker at the restaurant “the size of a Subaru.” The new menu, which debuted just a few weeks ago, will include some favorites from Starlight (gumbo, beet salad with goat cheese croquettes, and his famous burger), but will add a host of new dishes including buttermilk brined fried chicken, Gypsy Girl sausage with dirty rice, homemade buttermilk biscuits, grits, and baked mac and cheese. Oh, and Palmese says leaving Starlight (which is owned by family members) was purely amicable and a way for him to stretch his wings with a new project. Hours are 11:30am-2:30pm for lunch, 5-9pm for dinner. The restaurant is closed on Tuesdays and will feature Monday Night Football specials. 1403 Arnold Drive, Glen Ellen, 707-933-3005. 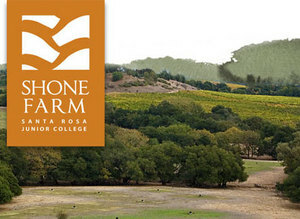 On Saturday October 6th, Santa Rosa Junior College’s Shone Farm celebrates its 40th anniversary with a fall festival from 10am-3pm. The 365-acre teaching farm will feature U-pick pumpkins and vegetables, an heirloom tomato tasting, wood milling demonstration, wine tasting, apple pressing, hayrides, and scarecrow building. Students will lead frequent tours of the farm, including its forest, during the event. There will also be a farm stand with “Shone grown” products for sale, including fruit, vegetables, and the farm’s award-winning wine and olive oil. The college’s agriculture ambassadors will be preparing a lunch made entirely with “Shone grown” ingredients, including beef for hamburgers, as well as lettuce, tomatoes, and potatoes cultivated and harvested by students. The event is free to the public. 7450 Steve Olson Lane near Forestville, approximately 12 miles from the Santa Rosa campus. More details online.